If you’re on the hunt for a vehicle that marries the best in performance with a sophisticated collection of technologies and wide range of reliable safety devices, then you’ve likely heard all about the new 2017 Mazda6, which gives you a beautiful design, some space-age technologies, solid power, and a slew of devices to keep you safe and sound on the road. Having doubts? 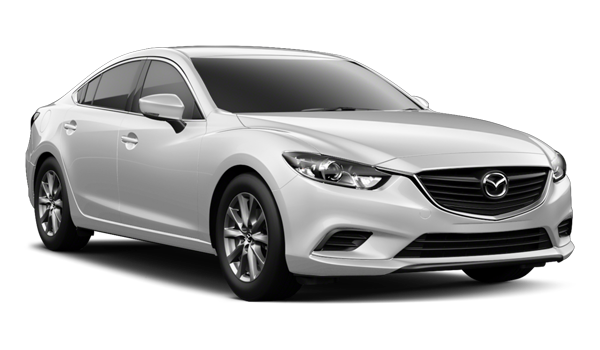 Just compare the 2017 Mazda6 to one of its competitors, the 2017 Nissan Altima, to see how this new Mazda excels! First of all, the Mazda6 features a striking exterior design, especially when compared to the Altima. The 2017 Mazda6 – For example, the Mazda boasts 19-inch aluminum alloy wheels with a Dark Silver finish, as well as a power sliding glass moonroof, a rear lip spoiler, and a selection of LED lighting systems, like LED Daytime Running Lights, fog lights, grille accent lighting, and high beam control. 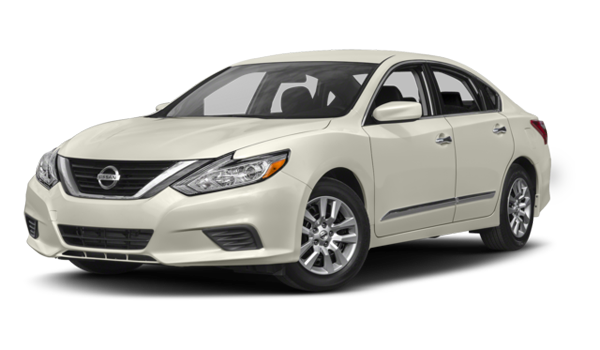 The 2017 Nissan Altima – The Altima, on the other hand, only has 18-inch aluminum alloy wheels, and while it gives you similar lighting systems to those embedded in the Mazda6, it does not provide the same astonishing aesthetic design on the outside. Second, the Altima is also outfitted with a selection of stellar driving technologies. The 2017 Mazda6 – Not only does the Mazda6 come with a MAZDA CONNECT™ Infotainment system that keeps you connected to friends and family throughout the long drive, but it also gives you streaming internet options like Stitcher, Pandora, Aha, and HD Radio, and it boasts a Bose Centerpoint Surround Sound Audio System with 11 speakers and a woofer. The 2017 Nissan Altima – The Altima does come with a decent NissanConnect system, which enables you to access all the music, podcasts, and more on your iPhone, and you’ll be able to change tracks and adjust the volume with steering-wheel-mounted controls, but even in the highest trim, the Altima can only be equipped with a 9-speaker Bose Premium Audio system. Lastly, the Mazda6 is packed with a plethora of reliable safety systems. The 2017 Mazda6 – In addition to providing you with the standard safety devices, from Traction Control and Lane Keep Assist to Lane Departure Warning and advanced front air bags, the Mazda6 is also outfitted with a Mazda Radar Cruise Control with Close Proximity Warning, a Traffic Sign Recognition system, and Smart City Brake Support. The 2017 Nissan Altima – Sure, you’ll get a Blind Spot Warning System, Vehicle Dynamic Control, a Rear Cross Traffic Alert device, Predictive Forward Collision Warning, and Forward Emergency Braking, but the Altima does not offer the Mazda6’s Smart City Brake Support or Traffic Sign Recognition. Test Drive the New Mazda6 Today! If you’re interested in exploring this car in your own way, we urge you to visit our Beach Mazda dealership soon to take it out for a test drive. Located at 855 Jason Blvd in Myrtle Beach, we can also be contacted by phone at or via this online form, too. We look forward to meeting you soon at Beach Mazda!